Ronnie Vanstone has gone cottage crazy for 2014! Whether you live in Port Moody or white Rock with an ocean view or a Maple Ridge, sub-division you too can have the holiday feeling created by a cottage décor. All signs point to this charming and relaxed look being one of the trends for 2014. If you love this look, read on for some pointers on how to make your home feel like a summer get away all year! One staple of cottage design is the predominance of the colours white and cream. Used in beachfront cottages, lakeside cabins, or cul-de-sac-hugging bungalows, white/cream walls and woodwork exude cheerfulness. 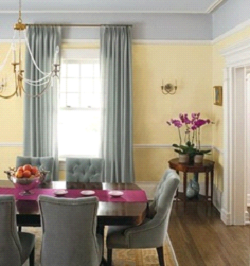 These fresh and clean colours make a room feel airy and bright. White and cream also provide the perfect backdrop to any accent colour you can imagine. Often in cottages, the furnishings are also white or cream, it shows up on everything from slip covered furniture to white washed cabinets. Again pops of colour in your favorite hues, stop the design from feeling sterile or bland. Blues, grays and sand were my choice when designing this look for one of our Design Alley clients for their family cottage on KaKawa Lake in Hope BC. The other colors that tie in to this inspiring environment are as vast as your imagination but some of my favorites are: The Beach style cottages feature watery blues and sunny yellows, while the country cottage look has petal pinks and leafy greens throughout their spaces. These appealing hues harmonize naturally with the crisp backdrop. Check out this photo from Home and Garden magazine of this dreamy cottage bedroom. From the cool headboard to the custom upholstered chair to the foot-of- the- bed trunk, this bedroom is dripping with vintage appeal. The pretty floral bedding adds feminine flair, which is echoed by the glitzy chandelier and bedside sconces. 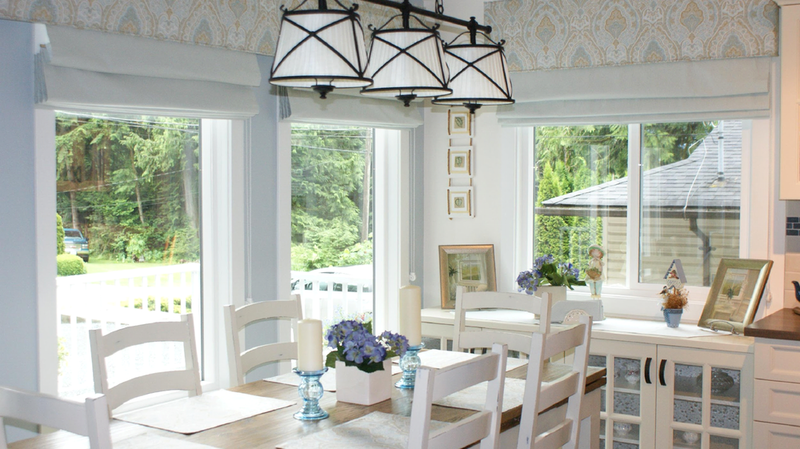 Here are a few more ideas to consider for creating your new cottage look. vegetables. Installed behind glass fronts, it provides a hint of country charm. Here is another great idea from home and garden. Spruced-Up Steps…..
A coat of fresh white paint sets the staircase apart from khaki walls and stained wood floors; old-fashioned numbers stenciled onto each riser add a welcoming bit of whimsy. It does not matter if you want to create this style for your primary home or your vacation property, this charming look will help you feel like you are on Holiday all year long!